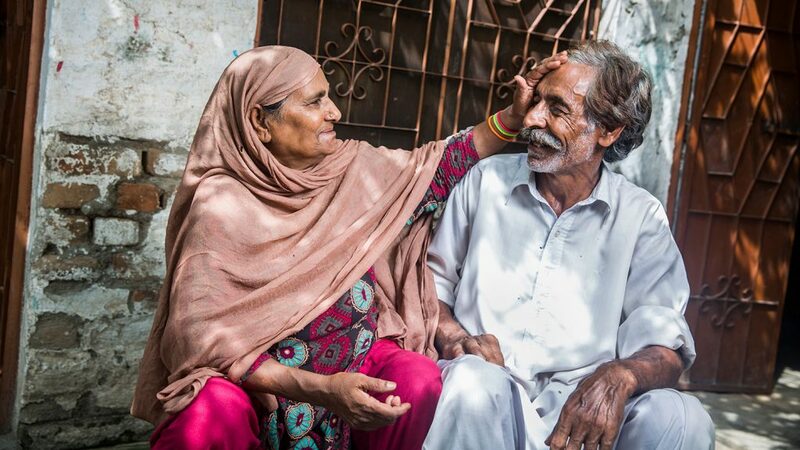 We first met 55-year-old Zamurrad, from Rawalpindi in northern Pakistan, soon after she lost her sight to cataracts. 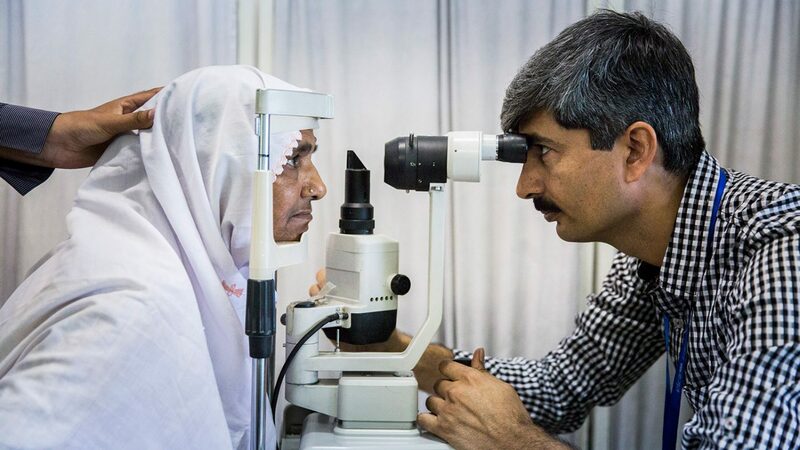 Even before her sight deteriorated, Zamurrad, her husband Tariq and their eight-year-old daughter Rania had very little security. 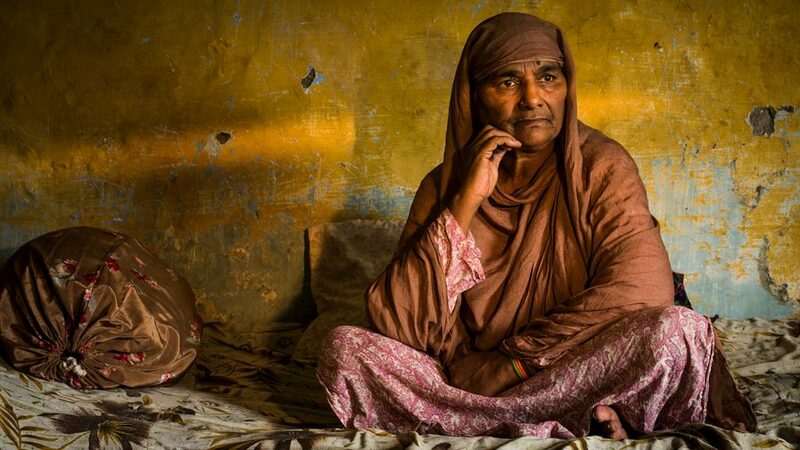 They lived in a house owned by her brother-in-law: the fear of being asked to leave was constantly hanging over them, and Tariq’s work as a labourer was never guaranteed. But Zamurrad was happy managing the home, selling her knitting to supplement their small income and taking care of Rania. 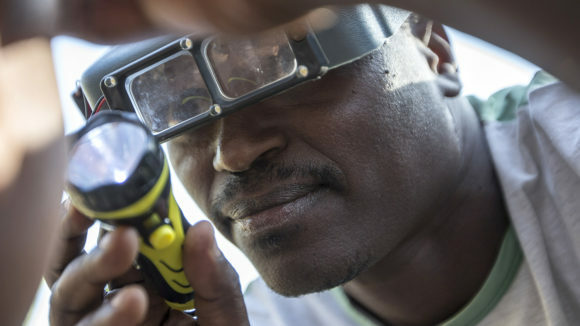 When Zamurrad developed cataracts, her vision deteriorated and her life ground to a halt. 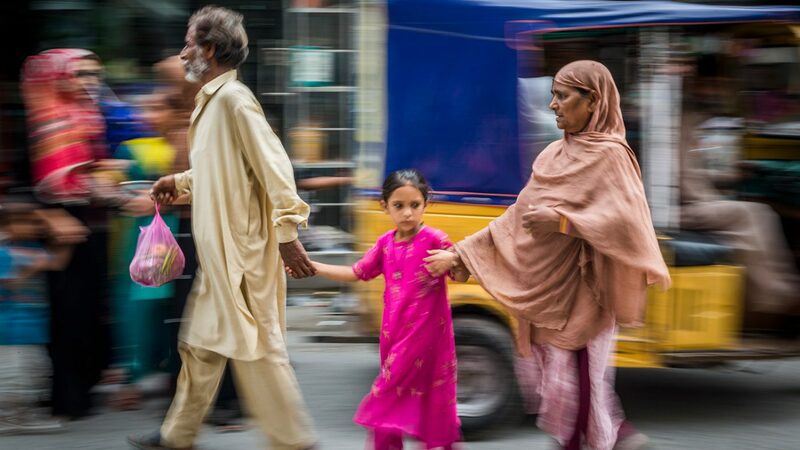 She struggled to do anything for herself or her family and she was scared to leave the house. 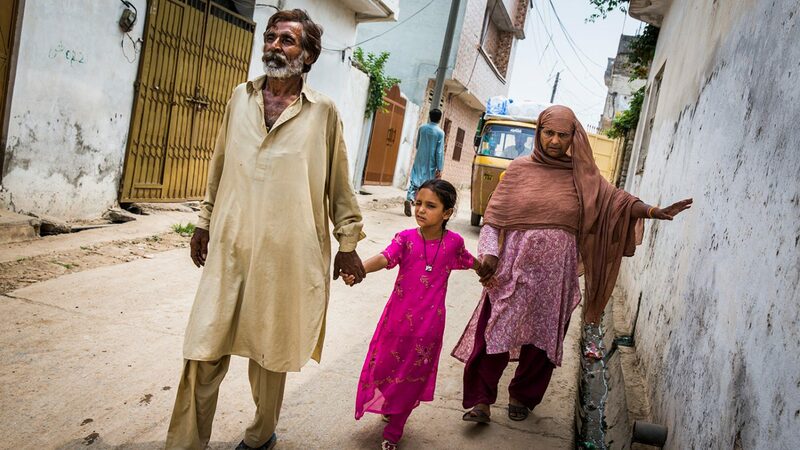 Tariq, concerned for her safety, stopped working to look after his wife and daughter. They had to rely on the goodwill of neighbours to survive, as their other family members were unwilling to support them. After a few months of near total blindness, Zamurrad couldn’t stand her situation any longer and she persuaded Tariq to go to work for a few days, promising she wouldn’t move while he was out. He agreed and managed to scrape together the fare for the journey. The following day, Zamurrad’s daughter Rania was by her side as her bandage was slowly peeled back and her eye examined. As the doctors moved out of the way, a smile spread over her face and she turned to look at her daughter. Immediately she pointed out all the details she could see, amazing her family, who could barely believe her vision had changed so quickly. The smile remained on Zamurrad’s face when she returned home a few days later: she grinned as she moved about confidently, talking about all the things she could do and how their lives are going to change. “I will do stitching and knitting, I will make sweaters and caps for my daughter,” she said. “I’ll manage the kitchen and home, do cooking, cleaning, washing. Now I can go out, I will go to the market and see my friends. 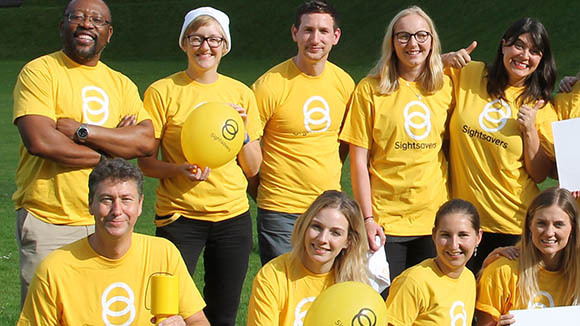 A year after her surgery, we have the chance to catch up with Zamurrad and find out how life has treated her following her operation. She talks easily about how life has changed. 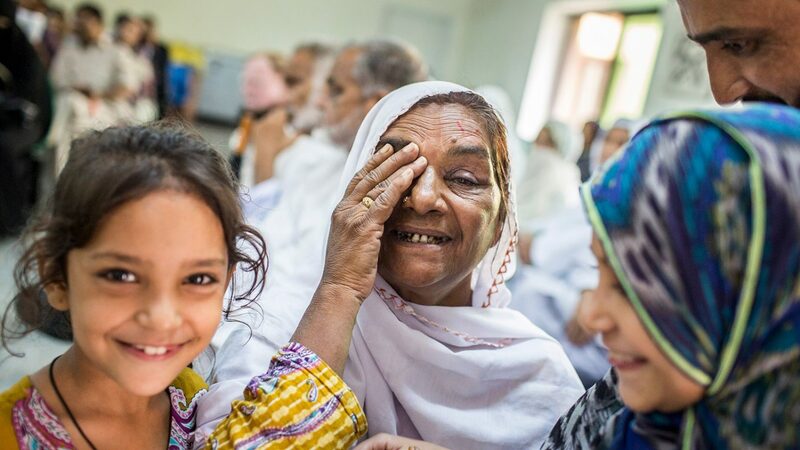 “When I was not well and I had this cataract, my husband used to do everything for me,” she says, recalling how worried she was when she lost her sight. 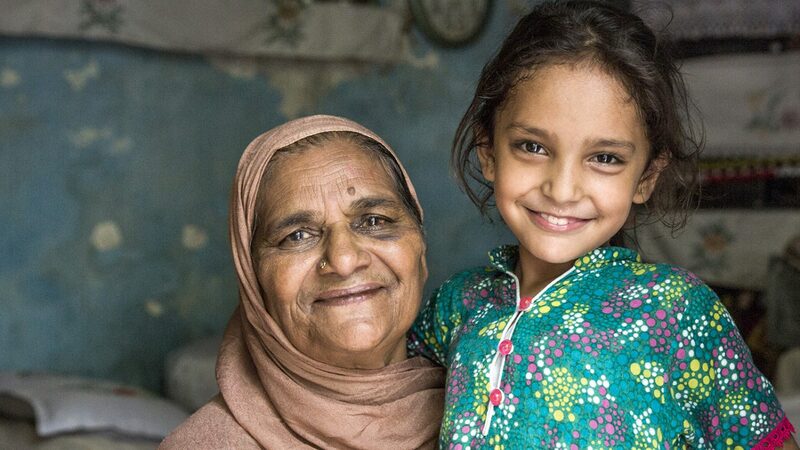 Zamurrad’s cataract surgery hasn’t just affected her life, but also that of her daughter and husband. It was Rania who used to support Zamurrad when she needed to leave the home. She holds up a dress she has made for Rania. Zamurrad is clearly a talented seamstress, and it’s easy to understand how she must have felt when her eyesight no longer enabled her to pursue this hobby. Now she’s filled with pride at being able to make clothes for her daughter again. Zamurrad sits with her husband and touches his face.